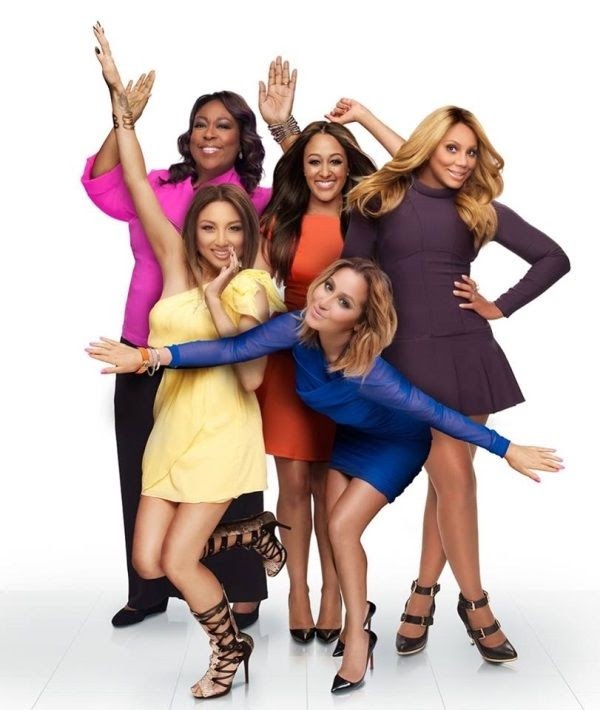 THE REAL HOST LONI LOVE BREAKS DOWN: WHY I'M ON THE FENCE! COMEDIAN/HOST OF THE REAL LONI LOVE BREAKS DOWN! 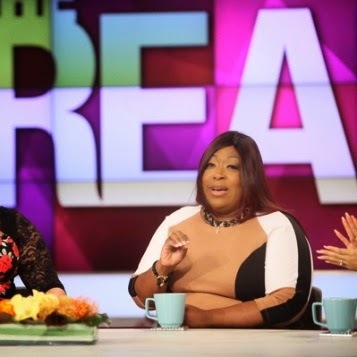 I had already planned on addressing Ms.Loni Love about her poor choice of clothing on "The Real" talk show and her refusal to wear any kind of shapewear. The show which airs on B.E.T. weekly has become popular in the past year. I happen to follow the show on Instagram anticipate their weekly collage picture of the cast and their attire for the day. The panel of fashion forward host include R&B singer Tamar Braxton, comic Loni Love, singer Adrienne Bailon, fashion expert Jeannie Mai and actress Tamara Mowry-Housley. I took notice after about three weeks of viewing the attire on the show that Ms. Love stylist is either blind or doesn't know anything about dressing a plus size woman. It was to my surprise Ms.Love on a recent episode of the show had a melt down about her weight and body image. I was on board with her wearing her truth and telling the audience she doesn't like her body at this time in her life. It was however when Ms. Love stated she couldn't find anything in her size that annoyed me. In 2015 in a world of designers such as Monif C, Rum & Coke, Nakimuli etc. How is this true? You can no longer use the term "it doesn't come in my size as an excuse". The picture above is a direct reflection of my observation of Ms.Love's attire. All of the ladies are beat and fashionable and there she is in the back dressed like a old lady. You mean to tell me there was nothing her team could have found for her to wear other than a pair of black slacks and a button up. I will not accept that I just won't when I see bloggers like Chasity of GarnerStyle kill it on a daily basis. When will these plus size women who have the spotlight take advantage of it? Newsflash Ms.Love there are millions of plus size women who shop from store to store and weeks ahead of an event to find an outfit. On a limited budget we make it happen and we make it look damn good! What's your excuse? You have money, A Stylist, Popularity and even a following of devoted fans. If you can't make it happen with your money and your exposure it's impossible for the rest of us. View Video Of Loni Love's Break Down HERE! I agree. I watch the show everyday and often wonder why??? All the fashion blogs and information on how to dress a plus size woman. I can name so many pus size bloggers that kill it all the time (including yourself). It makes me so mad. Loni does not represent the plus size women. All the ladies look nice everyday and she looks like she does not try. Sad just Sad! I don't watch the show, but the picture with the ladies all in dresses and her in a simple button down with black slacks, and flats does say a lot. Then watching the clip where she's emotional about the struggle of dressing a plus size woman makes me think that maybe it may be her confidence that is keeping her stylist from putting her in fashions that are edgy and very tasteful. It can be hard to dress someone who doesn't think she's beautiful, so when she doesn't feel comfortable in pieces that are gorgeous and will opt for what she feels comfortable in and what she think a plus size woman is suppose to wear there's not much a stylist can do. I just hope that she does step out of the box and take risks with her fashion choices because she has access to some top-level stylists and more designers are expanding their fashions pieces to include plus size women. Then, I find it awfully strange that on a show of 5 women, the plus size woman is the dark skin one and the other four who are smaller are light to fair skinned. She has a great stylist, but the client has to want to wear the fab clothes.